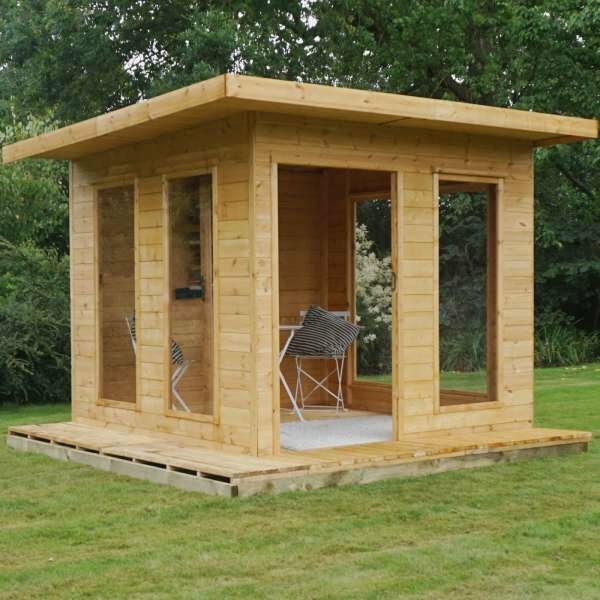 The overlap summerhouse is both beautiful and affordable. 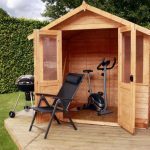 Its size means you’re able to find a space in the garden, even if you’re limited. 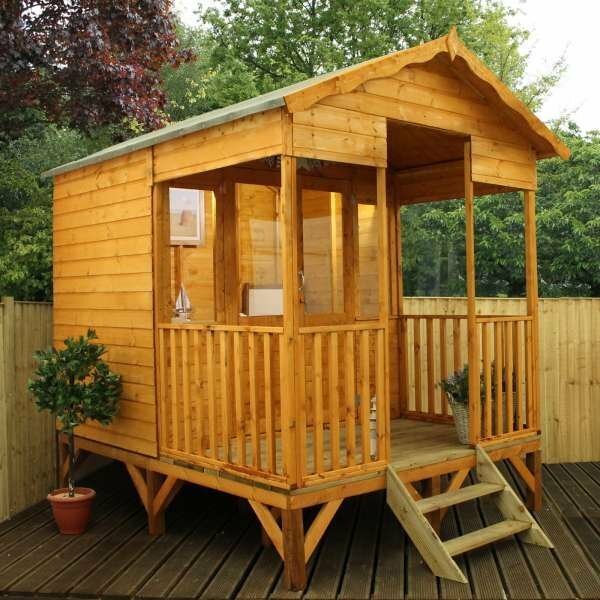 The rustic style of this summerhouse will fit in well in any garden. 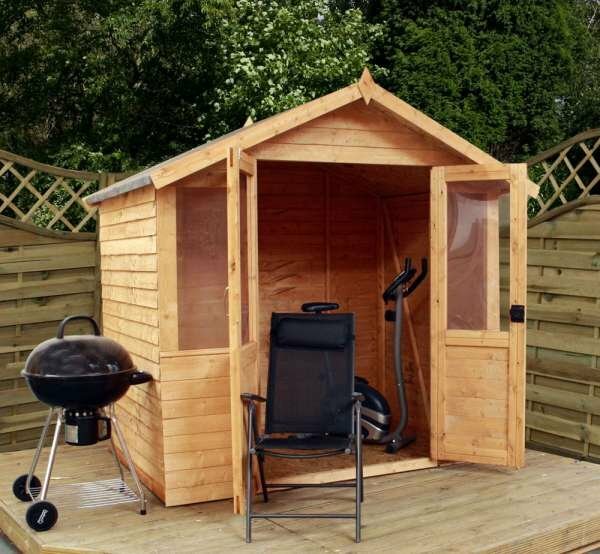 Constructed with 7mm overlap cladding, you can be sure this product is durable. 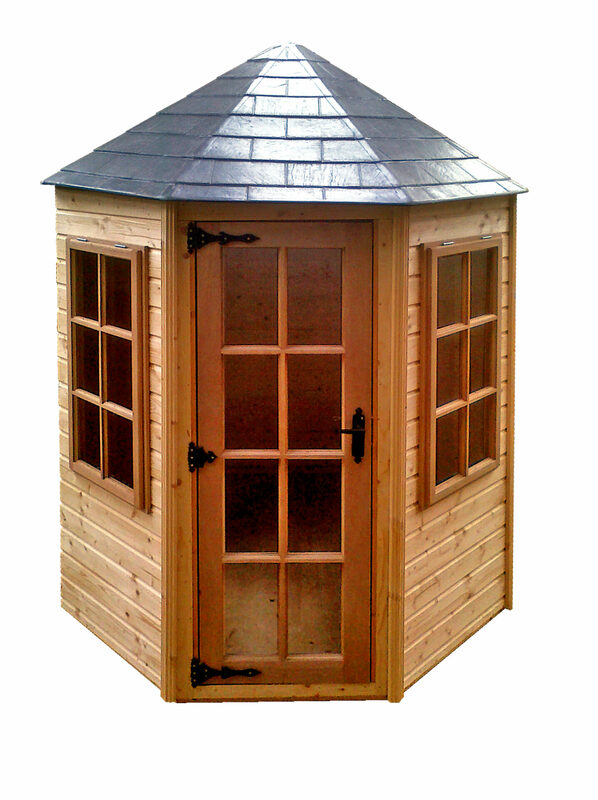 It has a 10mm solid sheet floor and 8mm solid sheet roof. 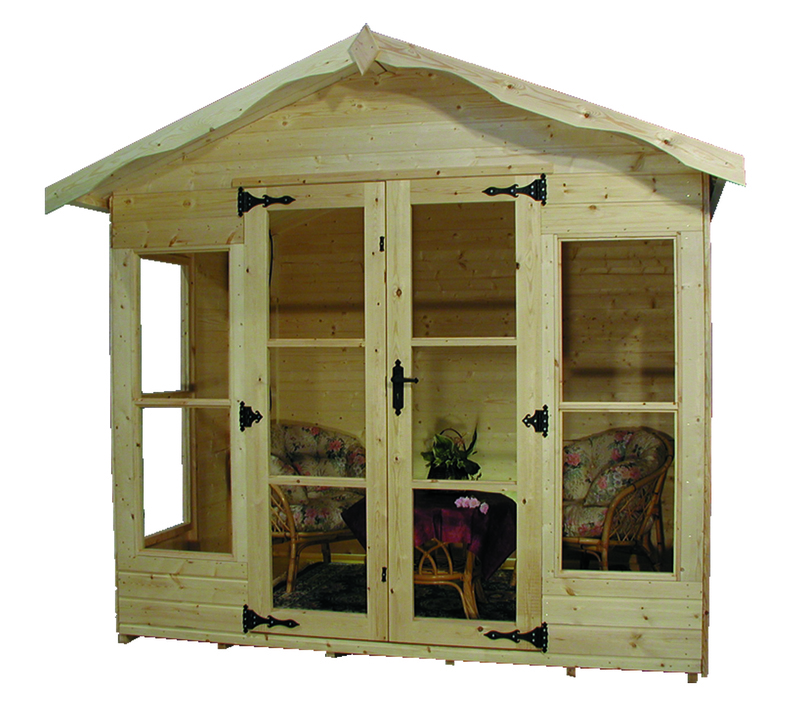 The doors glass is half glazed and the window glass is styrene glazed. 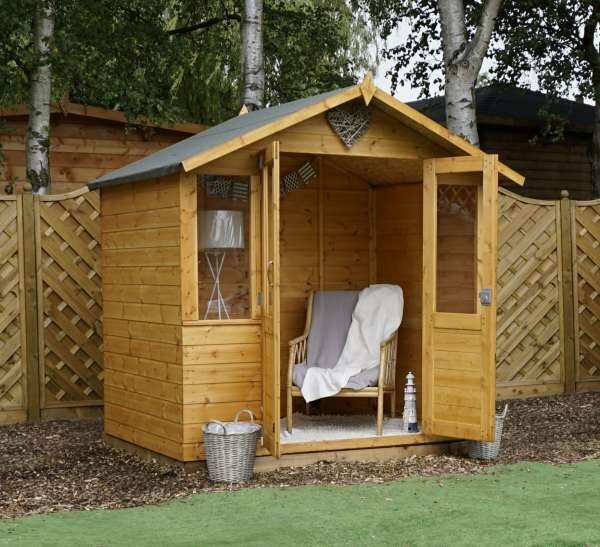 The doors come with lock and key for security and allow plenty of light through for you to enjoy on a bright Summer’s day. 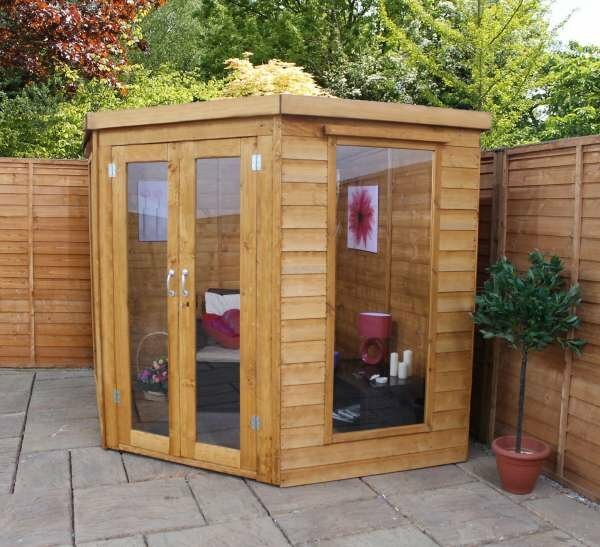 No matter what you intend on using this summerhouse for, it will never disappoint. 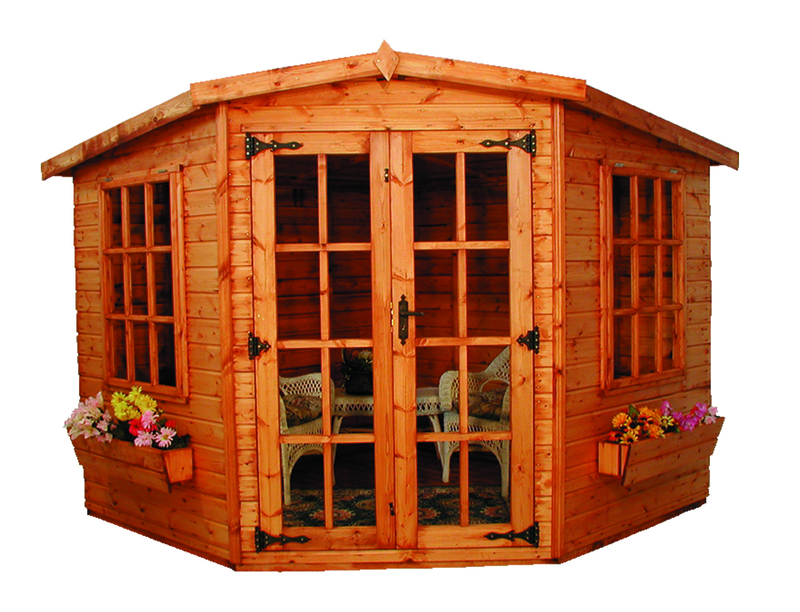 Your options: Overlap Traditional Summerhouse 7 x 5, Overlap Traditional Summerhouse 7 x 5 With Installation. This 7×5 Summerhouse takes on the form of our regular Shiplap Traditional Summerhouse but is constructed using 7mm Overlap timber, perfect for those with limited space and shopping on a budget. 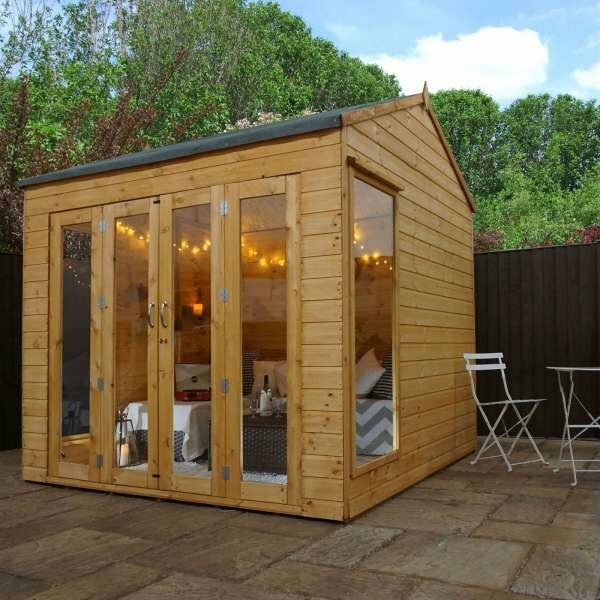 The building retains the quaint half glazed double doors with lock and key, two fixed styrene windows on the front gable and solid sheet roof and floor.